Bo Jackson was caught amongst the feral felines in Charleston near the boat basin. He is not a feral, he is just frightened of his new surroundings. All our felines start out in a pen until they feel comfortable to come out and visit other felines. Bo Jackson seems like a sweet guy who loves chin scratches and petting. 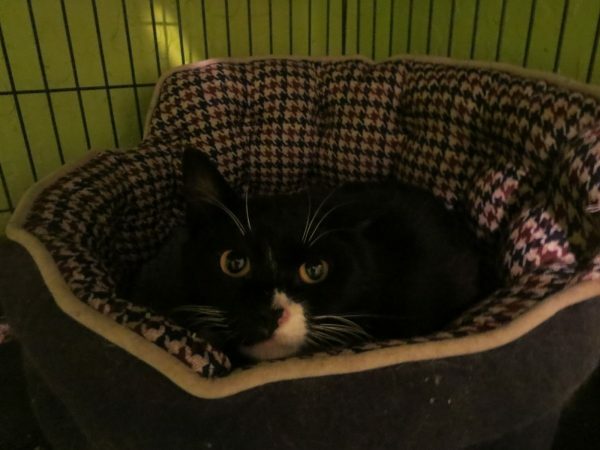 If you love black and white cats, this guy shines bright and would make a great indoor cat. Please swing by the Cat House next time you are near us in Englewood and have a look see.